ISB - capacity increased from 4 weekly A 330s to 3 weekly B 77Ws + weekly A 333. The flights operated by the B 77W will be a same plane service to IAD via DOH. ATQ - frequencies increased from 4 weekly to daily flights using an A 320. HKG - capacity increased from daily A 332 to daily B 77W from May 1st. KHI - capacity increased from daily A 320 to 6 weekly A 321 + weekly A 333. CMB - frequencies increased from double to triple daily nonstop flights using an A 320 which will connect to USA in both directions conveniently via DOH. KTM - frequencies increased from double to triple daily nonstop flights using an A 320. However, none of the triple daily DOH-KTM-DOH flights connect to USA! LHE - capacity increased to 3 weekly A 333s + weekly A 321. MAA - capacity increased from daily A 321 to 3 weekly A 333s + weekly A 332 + 3 weekly A 321. BLR - new daily flights using an A 320 to be announced shortly. FCO - frequencies increased from 4 weekly to daily flights using an A 332. CAI - capacity increased from daily A 333 to 5 weekly B 77Ws + 2 weekly A 333s. CEB - capacity increased from 3 weekly A 333s to 3 weekly B 77Ws. DEL - capacity increased from daily B 77L to 6 weekly A 332s + weekly A 333. BOM - capacity reduced from daily B 77W to weekly A 346 + weekly A 332 + 5 weekly A 333s. JNB - capacity increased from daily A 332 to daily B 77W. LOS - capacity increased from daily A 332s to daily A 346s. MNL - capacity increased to daily A 333 + daily B 77W from daily B 77L + daily B 77W. CPT - capacity increased from 4 weekly A 332 to 4 weekly B 77Ws all flown via JNB. Egypt Air has officially confirmed on the GDS that it will be suspending its summer seasonal flights to YUL-Montreal as they will be not be renewed for the Summer 2010 season. Usually, it operates 3 weekly Boeing 767-300ERs on the CAI-YUL-CAI route. On the other hand, MS has officially announced that it will be increasing its flights to NRT-Tokyo in a major manner from May 31st 2010 onwards. 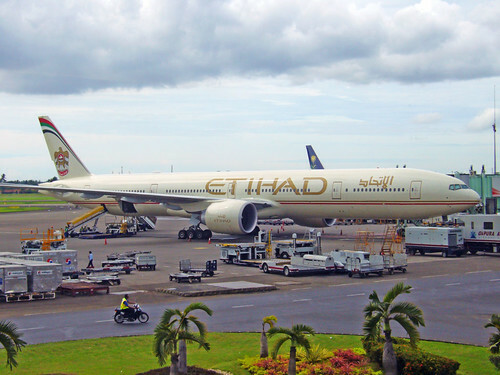 Currently, it operates 3 weekly nonstop flights using an aging A 340-200, however from May 31st 2010 onwards, frequencies will be increased two fold to 6 weekly nonstop flights using its brand new Boeing 777-300ERs. 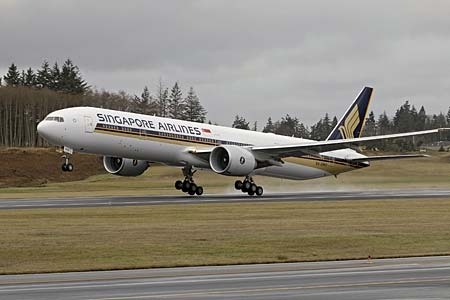 Singapore Airlines has officially announced that it will be launching new double daily nonstop flights to HND-Tokyo Haneda from October 2010 onwards. SQ too confirmed that it is seriously examining the possibility of using the A 380 for one of its new double daily services on the SIN-HND route. If the route does end up materializing, SQ will be flying 4 daily services from SIN to Tokyo i.e. double daily each to NRT and HND respectively. EVA AIR of Taiwan has officially announced that it will be increasing frequencies on its popular London Heathrow route that is flown via Bangkok from Taipei with full 5th freedom rights available to the carrier on the BKK-LHR-BKK sector. Flights will be increased from 6 weekly to daily services effective Jan 25th 2010 using a Boeing 777-300ER. Air India's management has officially confirmed that due to cost cutting measures being implemented, it will be suspending all of its flights to NBO-Nairobi, Kenya from January 20th 2010. Currently, the flights are flown nonstop from BOM to NBO using an old Airbus A 310-300. In addition, management has confirmed to the media that one of its flagship routes i.e. Mumbai-New York JFK nonstop is also going to be suspended. ORD/BRU - new daily nonstop flights to be launched using a B 763ER effective March 28th. IAD/ACC/LOS - new daily flights to be launched using a B 763ER. IAD/KWI/BAH - new daily flights to BAH will be launched as an extension of the KWI flight using a B 772ER effective April 18th. Vietnam Airlines has officially confirmed that it has placed an order for 4 Airbus A 380s with the French based aircraft manufacturing company. VN will be using these A 380s for its daily Paris and newly planned nonstop flights to San Francisco. Emirates has officially confirmed that it will be increasing flights to CGK-Jakarta from the current 10 weekly nonstop flights to double daily nonstop from March 1st 2010. EK will be using a 2 class configured Boeing 777-300ER for this route. In addition, EK has backtracked on its plan to use the A 380 to FCO-Rome from the on set of the IATA Summer 10 timetable. It will stick to its original use of a daily B 773ER + a daily A 332 from March 28th 2010 onwards. 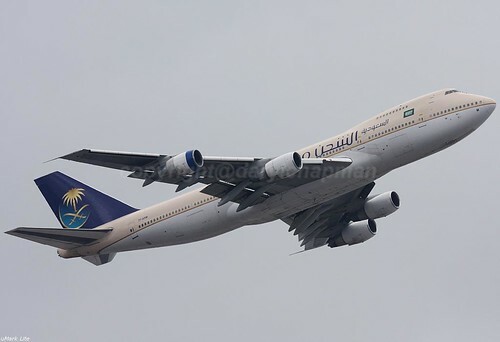 Saudi Arabian Airlines has officially announced that it will be reducing capacity on all of its European bound flights from January 1st 2010 onwards as the carrier looks to adjust capacity with forecasted demand for its flights. Currently, all of its flights to Milan, Paris, Rome, Madrid, Geneva and Frankfurt are operated with Boeing 777-200s. However, all these destinations will see capacity reduced two fold as SV will be henceforth utilizing an Airbus A 320 to operate to all of these mainland EU cities. The only route in Europe that will continue to see its B 777s being used on is London Heathrow. Thai Airways will be reducing capacity to Dubai from Dec 1st 2009 onwards from a daily A 333 to a daily A 346. This means a reduction of 32 seats per day on the DXB BKK DXB route. FYI, TG's 2 class A 333s seat 299 pax in a 2 class configuration (J and Y) where as TG 's 3 class A 346s seat 267 pax. However, their in flight product on this route will get a big face lift as their A 346 fleet has a first class cabin (which their A 333s dont) in addition to TG's new Y and J class cabin product. TG too confirmed that it will be increasing its flights to Singapore from Dec 15th 2009 with the addition of a 4th daily nonstop flight. TG will be using an A 333 for this additional daily flight where as its other 3 daily flights are operated by a mixture of A 333s and B 772As. Thai Airways has officially confirmed that it will be reducing frequencies to BOM-Mumbai from December 2009. Currently, operations were listed as being 13 weekly using B 744s for all flights, however these will be reduced to 11 weekly services using an A 333 four times per week + a B 772A on a daily basis. Etihad Airways has officially announced that it will be launching flights to Nagoya and Tokyo Narita from Feb 1st 2010 onwards. Flights to NGO will be flown via Beijing four times a week using a 2 class configured A 332 where as the fifth weekly flight will be flown as AUH-NGO-NRT-AUH using a 3 class configured A 332. With regards to its NRT bound flights, they will be flown 5 times a week from AUH (4 nonstop + 1 via NGO) using a 3 class configured A 332. EY has too confirmed that for the entire IATA Summer 2010 season, it will be reducing capacity to CDG-Paris. Currently, it operated to CDG 10 times per week nonstop using an A 332 seven times per week + an A 346 three times per week. However from March 28th 2010, all 10 weekly flights will be flown using a 3 class configured A 332 seating 216 passengers. Etihad Airways has officially announced on the GDS that it will be increasing its frequencies to FRA-Frankfurt in a gradual manner from Dec 10th 2009 onwards. Currently, EY operates 10 weekly nonstop flights to FRA, however from Dec 10th, these will be increased to 13 weekly nonstop using a three class configured A 332. Thereafter, a further increase will take place from 13 weekly to double daily effective March 28th 2010 also using 3 class configured A 332s. EY too announced that in leiu of high demand, it will be further increasing its flights to HYD-Hyderabad, India from Jan 1st 2010 onwards from 4 weekly to daily nonstop flights using an A 320. Korean Air has officially confirmed that it will be reducing capacity on its Seoul-Frankfurt flights from Aug 1st 2010 onwards. Currently, it flies this route nonstop on a daily basis using a B 747-400. However, that will change as the carrier begins to use the more modern Boeing 777-300ER on this route which will have installed its new in flight cabin product. DXB - frequencies increased from 4 to 5 weekly nonstop flights using a B 772ER. SVO - frequencies increased from 3 to 4 weekly nonstop flights using a B 772ER. SFO - frequencies increased from 4 weekly B 772ERs to 5 weekly nonstop flights using a B 744. ATL - frequencies increased from daily to 10 weekly nonstop flights i.e. daily B 744 + 3 weekly B 772ER. DFW - capacity increased from 3 weekly B 772ERs to 3 weekly B 744s. HNL - frequencies increased from daily to 10 weekly nonstop flights i.e. daily B 744 + 3 weekly B 772ER. Delta Airlines has officially announced that it will be increasing its flights to SVO-Moscow for the IATA Summer 2010 season. Currently, DL flies 5 weekly flights from JFK to SVO using a B 763ER, however these will be increased to daily nonstop flights using the same aircraft type from next year. NRT/SGN - all flights suspended. JFK/IST - frequencies reduced from daily nonstop flights using a B 763ER to 5 weekly nonstop flights using a B 764ER. ATL/ARN - all flights suspended. JFK/NCE - capacity increased from daily B 763ER to daily B 764ER. JFK/LYN - all flights suspended. These flights are expected to negatively impact the market share of EK, EY, ET, QR, MS and GF on the China-KRT sector where there is considerable amount of travel done due to the huge Chinese foreign investment in the Sudanese economy. Turkish Airlines has officially confirmed that it will be increasing its flights to New York JFK for the IATA Summer 2010 season from daily to 9 weekly nonstop flights. TK will be using a B 773ER daily + an A 332 twice a week to operate this flights next summer. During the weekend whilst doing some research, I came across an interesting aircraft called the Airbus A 330-200HGW (High Gross Weight) and its performance capabilities. It has already gotten its first launch customer i.e. Korean Air that has ordered 6 of the type in Feb 2009. Airbus has projected that this aircraft will be a direct competitor to the Boeing 787-800 and is targeting orders from airlines that have been severely effected by its delivery delays. A key component to Airbus's advantage with this aircraft is that any airline that orders it will take delivery of it within 18 months time which is highly attractive. According to stats available, the A 332HGW can fly nonstop with a full payload of passengers + cargo up to a range of 7000NM (12,800KM). This means that the aircraft can easily fly from the GCC nonstop to PER/ORD, from DEL to SYD/MEL, from ICN to IAH/ORD and from EZE to FRA/MXP/CDG. Hence the purpose of this part of the newsletter is meant to suggest to few airlines why they should seriously consider the A 332HGW for quick delivery within 18 months time and on what routes they would be best served to be utilized on. launch KWI-YYZ nonstop (for which KU has authority to do so twice a week only though according to 2007 bilateral). replace A 342s on NRT sector. replace B 777 to YUL in the summer. A 332HGWs can easily replace entire A 342 fleet and be used to operate all current USA-AMMAN nonstop flights along with YUL and upcoming AMM-HKG nonstop. FYI, A 332HGW pax capacity is same as A 342.
replace A 310 on BOM-NBO sector. replace the B 77L on CDG and NRT routes. Can be used to fully replace its entire A 343 and A 332 fleet as the A 332HGW can fly to LHR easily nonstop from CMB which is UL's flagship route. It can also be used to launch new nonstop flights from CMB to Australia and replace older aircraft to NRT. Replace all routes currently operated by the inefficient A 342 and replace the A 343 on all Latin American and European bound flights. Out of the newly placed order for 20 A 333s, 8 should be converted to A 332HGWs to fly to MNL (2), Japan (NRT only-2) and USA (ORD/EWR-4) in the future.